Enjoy the comforts of home at your next visit! We offer flat-screen TVs, pillows, blankets, music, and Netflix to make your experience as relaxing as possible. Be sure to take advantage of our convenient family scheduling and Saturday appointments so you can receive the care you need when you need it. Our friendly team is here for you and your family. I have been going to Dr. To for 15+ years now and he is THE BEST. I have been with him since he used to work in Centreville and we liked him so much we followed him to his own practice in Chantilly! He's great with all ranges of age. He's pulled teeth for me, filled cavities and just overall kept my teeth in tip top shape. Dr. To is so personable, he always asks me about vacations and any classes I am taking. HIGHLY suggest going to Dr. To. Also, Jennifer at the front desk is the best! I moved to the area nearly 8 years ago. This is the first and only dentist I’ve been going to and would not change it for the world. 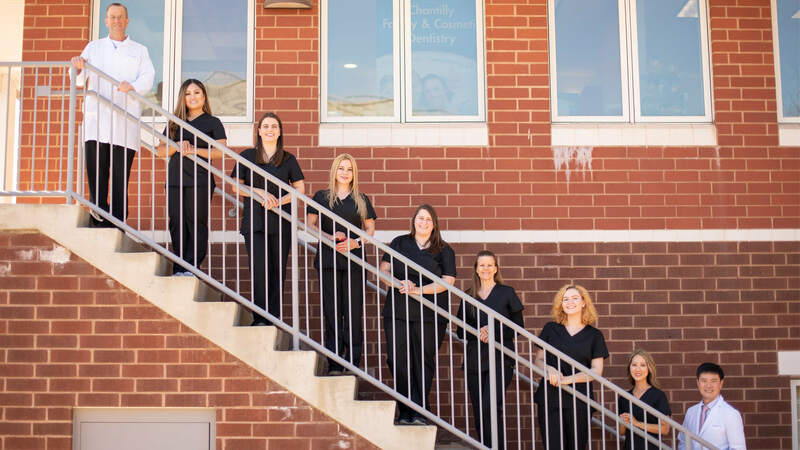 The team (Dr. and administrative) is very personable with all their patients. The facility is very clean and Dr. To is very accommodating. He is by far the most gentle and straightforward dentistry I’ve frequent. I’m so happy to have him as my long term dentist. I don’t know where to start, but this place is honestly hands down the BEST dental place anyone can find! Dr. To is a very gentle, kind, caring and most importantly, very skillful Dentist! I always feel like My teeth are in great hands when I visit him! I’m very grateful for that!! All the rest of the staffs have always been super kind and professional as well, I have been enjoying every single dental clean here. I highly recommend this place to anyone because there’s absolutely no better!